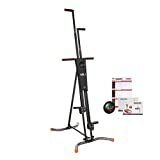 Are you looking to get a vertical climber exercise machine for your home? If yes, you’re not alone. Vertical climbers are the latest craze in today’s fitness world — they’ve been taking over the marketplace, and it doesn’t look like the trend is stopping anytime soon. For the most part, vertical climbers are a proven method of getting full body workout, and it turns out that they’re more effective than treadmills. These machines work by providing you with an intense cardiovascular workout that works your leg, core, and arms. They mimic the motions of rock climbing to give a significant boost to your cardiovascular endurance while burning calories. If you’re looking to lose weight and keep fit right in the comfort of your home, we recommend you join the trend and get your hands on a vertical climber! The best part? These climbers provide a low-impact workout, so there’s absolutely no need to worry about harming your joints in the process. So are you ready to get your very own vertical climber? We’re pretty sure you are! In this article, we’re going to compare two of the most popular vertical climber brands available on the market right now! So what brands are we talking about? 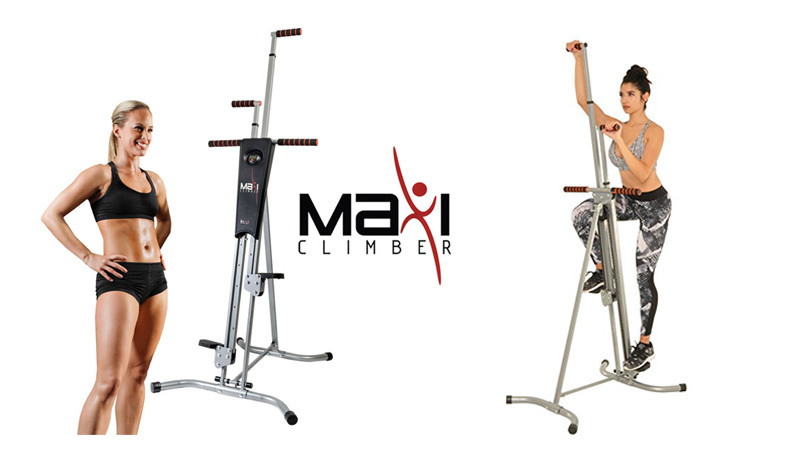 Well, they’re none other than the MaxiClimber Vertical Climber and the Conquer Vertical Climber. Right now we’re going to take a closer look at them and see which one deserves your hard earned money. Sounds good? Let’s dive in! 4 Maxi Climber Vertical Climber Vs. Conquer Vertical Climber: Who Wins? 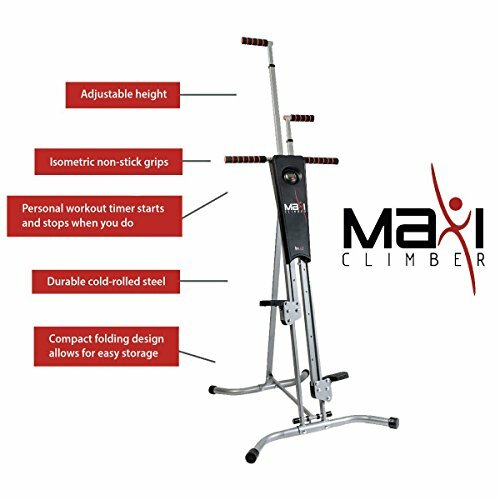 The MaxiClimber is one of the most popular vertical climbers that’s designed to mimic the natural rock climbing movements of the body. It’s an excellent piece of workout equipment that helps you lose weight and get back in shape in a short period of time. Besides its fat burning benefits, the MaxiClimber also works to keep your heart healthy, and that’s huge. Perhaps, the biggest highlight of this machine is its ability to burn up to 500 calories in just one hour! This vertical climber also comes with a number of attractive features that helps to burn calories from just about every part of your body from head to toe. Speaking of features, this vertical climber comes with a compact and ergonomic design which also happens to be completely adjustable. In other words, the MaxiClimber is sure to work great for all body types. Another good thing about this machine is that it features isometric nonstick grips which ensure that your workout is as comfortable as can be. It’s also good to point out that the vertical climber comes with compact foot pedals that grips the sole of your shoes and prevent them from slipping. There’s also a digital timer that automatically starts when you commence your workout and stops when you do. Moreover, the unit is has a compact folding design which allows you to easily store it away when not in use. For starters, the Conquer Vertical Climber is a part of a larger lineup of products from Conquer. Conquer Vertical Climber also imitates the rock climbing motion to provide you with full body workout. For the most part, the machine offers a perfect combination of aerobic and anaerobic workouts. It’s an excellent way to exercise your legs, arms, shoulders, glutes as well as the body’s core. The Conquer Vertical Climber gives users the benefits of burning calories and toning muscles in one workout. It’s perfect for burning and making muscles firm and strong. The machine comes with a durable steel construction, so you can expect it to be sturdy and strong enough to accommodate different types of users. It can even hold up to 250lbs, making great for heavier people who are looking to lose weight and get in shape. It’s also good to point out that the Conquer Vertical Climber feature Isometric height-adjustable grips — one static and one moveable. It also comes with textured foot pedals that are wide enough to support your feet and keep them from slipping. Moreover, this vertical climber is also easy to fold and store away when not in use. For starters, the MaxiClimber is designed with durable cold rolled steel which should be sturdy enough to withstand vigorous movements. It has a fairly basic design that you can adjust to fit your body type and workout needs. This vertical climber also comes with isometric non-stick grips which provide excellent cushioning for your hands to prevent them from slipping or feeling uncomfortable. It’s also good to know that the MaxiClimber features compact foot pedals that are sure to prevent the soles of your shoes from slipping. Just so you know, the foot pedals are studded, so you won’t be able to use the vertical climber barefooted. Moreover, the machine can safely accommodate users weighing up to 240 pounds. You can also fold the unit flat and keep it somewhere safe thanks to its compact folding design. Moreover, the machine arrives 90% pre-assembled, making it super easy for you to set up and use. On the flip side, the Conquer Vertical Climber is made of durable steel which is pretty good. However, the MaxiClimber cold rolled steel offers more quality. Just like the MaxiClimber, the Conquer Vertical Climber comes with Isometric height-adjustable grips. Well, it happens to be different from the one on other Vertical Climber since they’re adjustable. One is movable while the other is static. The movable set works your upper and lower body muscles for a full body workout, while the static handles isolate the lower muscle groups. Either way, you’re going to experience the workout benefits and feel great while you’re at it. The Conquer Vertical Climber also come with foot pedals that guides your feet and prevent it from slipping. Moreover, the textured pedals are wide enough to support several different foot sizes. There’s no much difference in the weight of users the machine can accommodate; it’s pretty similar to what the MaxiClimber offers. Its frame is sturdy enough to support up to 250 lbs. The machine can also be folded and stored away — it’s a bit heavy but movable. As we know, the primary purpose of a vertical climber is to provide you with a natural feeling workout without overworking your joints. The good thing is, the MaxiClimber does just that. It’s recommended for beginners to use the machine for 10 to 15 minutes and build from there as they get fit. 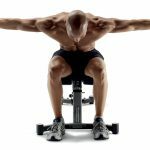 Essentially, the machine gives you total body workout that engages your upper and lower body as well as your core muscle groups. According to the manufacturer, you’re likely to burn up to 500 calories if you use the machine for around 60 minutes. Well, it’s improbable for beginners to complete an hour’s workout as soon as they get a hold of the machine. However, this could be possible if you’re starting from a good point of fitness. The MaxiClimber also comes with Bio-X technology which delivers a cross-crawl motion that works your core and abs with every step. Users will also like the digital timer that comes with this vertical climber — it starts automatically when you begin exercising and stops when you’re done. The display also provides users with a step count and calorie counter. The Conquer Vertical Climber also gives you an excellent workout that imitates natural climbing. The good thing is, this machine delivers low-impact aerobic and anaerobic workout to burn calories and tone your muscles. It’s also good to point out that some customers claim to lose tummy fat after using this climbing machine. It’s important to note that the Conquer Vertical made no mention about the number of calories you’re likely to burn in a given time. As we mentioned earlier, the MaxiClimber indicates that users will be able to burn up to 500 calories within one hour of intense workout. 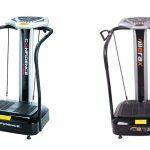 Moreover, there’s no mention of any technology that can drive better results in the course of your workout, unlike the MaxiClimber that comes with the Bio-X technology. The Conquer Vertical Climber also comes with a digital display which gives you the chance to view your time, step count and number of calories burned. This is pretty much like what you find in the MaxiClimber, although some users seem to have issues with accuracy. For starters, the MaxiClimber comes with a reasonable price tag considering all the features it offers. Lest we forget, the package also comes with a user manual as well as a meal plan and interval training guide. For the most part, the MaxiClimber Vertical Climber is priced below $200 — it’s a pretty good price for a durable machine that gives full body workout. Moreover, the MaxiClimber comes with a one-year warranty as well as a 30-day money-back guarantee. In Contrast, the Conquer Vertical Climber is priced below the MaxiClimber as it comes in at just under $100. There’s no doubt that this price is great for buyers on a budget. Moreover, the machine comes with excellent features that deserve a higher price tag! It’s however important to note that the Conquer Vertical Climber doesn’t come with an eating plan or workout CD. Its warranty is also a bit limited compared to the one offered by MaxiClimber. The warranty covers just 60 days against defects in materials and workmanship. Maxi Climber Vertical Climber Vs. Conquer Vertical Climber: Who Wins? For two machines that share quite a few similarities in design, it could be a bit difficult to choose the one that’s worth the money. It’s pretty clear that both machines offer intense full body workout that’s sure to deliver excellent results. While the Conquer Vertical comes with a cheaper price tag, it’s recommended to stick with the MaxiClimber. There’s no doubt that the MaxiClimber will give you the best value for money thanks to the few perks it comes with including the meal plan and interval training guide. Moreover, it comes with a longer warranty and a 30-day money-back guarantee — what more could you ask for? For under $200, you can work your body and tone your muscles in the comfort of your home! Don’t hesitate to take the plunge if you got the bill!